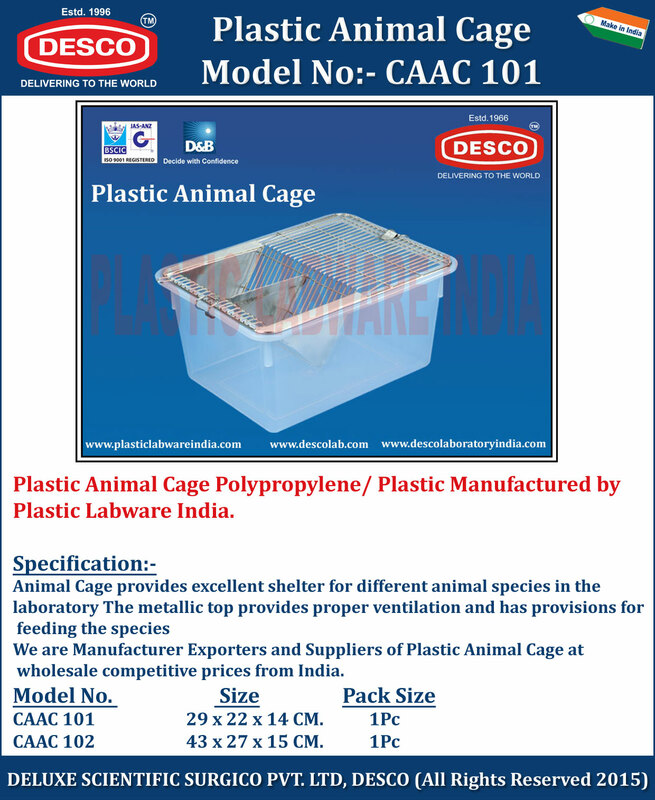 We are Manufacturer Exporters and Suppliers of Plastic Animal Cage at wholesale competitive prices from India. CAAC 101 29 x 22 x 14 CM 1 Pc. CAAC 102 43 x 27 x 15 CM 1 Pc.